I've been asked what I eat for snacks during the day, and although I do try not to snack in between meals much, I do eat air-popped popcorn. Air-popped popcorn has an advantage over even the healthiest microwavable versions because it does not contain any oil, which is a highly processed ingredient (high in fat and low in nutrients). So, making air-popped popcorn as your snack of choice (along with fruits and veggies) is a great idea! If you have an air popper...yay! If not, all is not lost. 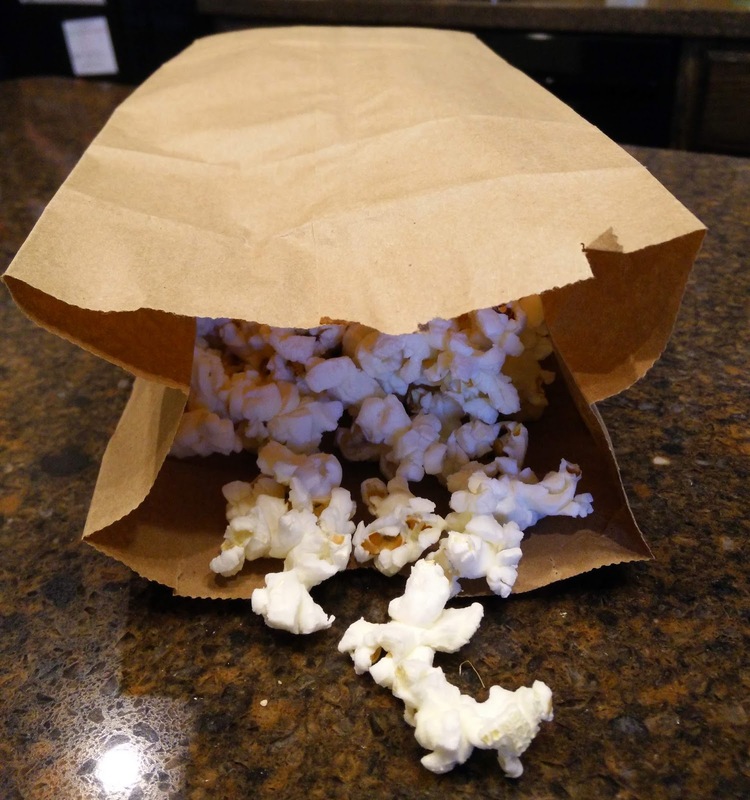 You can simply add 3 T of organic popcorn kernels to a paper lunch bag, fold down the top of the bag twice (about a half inch each time), set your microwave to about 3 minutes on high, and let it pop away! Listen carefully as the popping occurs. Once the pops have 3 seconds in between, you need to stop the microwave. It is VERY easy to burn popcorn in the microwave! We like to sprinkle on some nutritional yeast flakes and kelp salt right after we remove it from the microwave as there is a bit of steam still in the bag (which helps the nooch and salt stick).